The electro osmosis damp proofing system is the perfect system for those notoriously difficult to dampproof substrates such as stone, random rubble filled walls or highly porous substrates. 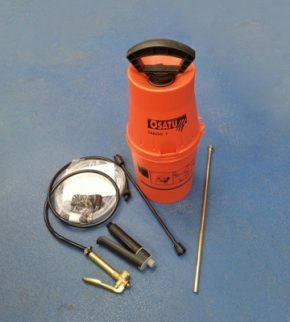 The chemical free system is quick and easy to install, simply drill holes into masonry above ground level and insert a series of titanium anodes into the brickwork. One end is connected to a low voltage power supply and the circuit is completed at the other end by an earthing rod (cathode) driven into the ground to a level below that of the anodes and at a distance of at least 2 metres away from the nearest anode. The completed and operational system then provides a positive electric potential, which stops the rising damp and allows the wall to dry out. Removal and replacement of salt contaminated or damaged internal plastering is carried out as usual and to the normal specifications used when replastering after the insertion of a chemical damp proof course. 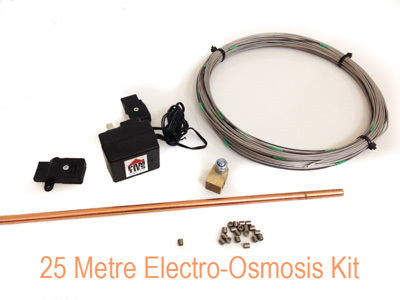 This kit contains enough wire to damp proof 25 linear meters. The simple and robust power unit plugs into a 13 amp socket. The plug connected to the units output lead simply fits into a socket fitted to the titanium wire of the installed system. Power delivery from the unit adjusts automatically from the degree of dampness in the wall thus ensuring the best possible results. The anodes are supplied spliced into pure titanium wire. 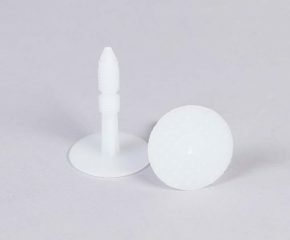 Each anode consists of a titanium wire substrate coated with platinum. The platinum is very resistant to oxidisation and is used to ensure excellent long term electrical conductivity into the wall. The earthing rods complete the circuit. The electrical potential created by the power unit is between the anodes and earthing rod(s), therefore it is important to achieve a good earth contact. Before a OTIC Electro-Osmotic system can be considered a full survey of the property should be carried out. Floor levels inside and out, wall construction type(s), floor construction etc., should be determined alongside the diagnosis of the dampness survey itself. Once rising damp has been correctly diagnosed, attention can be turned to the practical considerations of where power units and earth rods can be positioned and what the best route for the installation of the anodes might be. Installation of the anodes can be from the outside or the inside of the building, in either case the internal rendering will almost certainly need to be removed due to salt contamination. 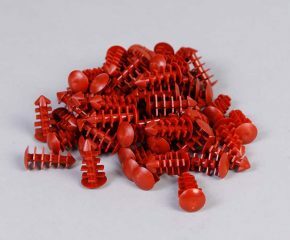 If not, at the very least, skirting boards will need to be removed to allow access to the base of the wall when internal installation is carried out. The anodes are inserted into the wall via holes drilled from a mortar bed down at an angle (varying from 10° to 30°). The titanium wire between the anodes is placed into a 20mm chase or groove cut into the mortar bed.